My job calls for travel throughout North America about once a month or so. Last week as I prepared for a week away I wrote about the hidden costs of business travel. So you don’t get the impression it is all bad, lets take a look at business travel benefits. 1. Career. Sometimes there is no replacement for face-to-face contact with a customer. Since my role involves non-sales account management meeting the client is very valuable to building and sustaining a relationship and creating stickiness for the company. Two recent studiesreported a clear coorelation between business travel and profits. 2. Sight-seeing. Travel away from home presents opportunities to see new cities and their sights. 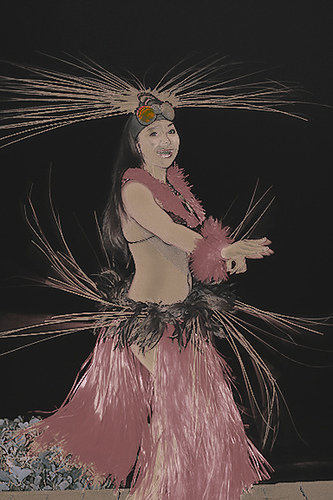 On a business trip to Honolulu years ago I went to a luau for the first time after a full day of work. It was so enjoyable that I took Mr. Boomer to the same venue on vacation. On another trip I visited the Rock and Roll Hall of Fame which is a must-see for baby boomers with a love of music. Would I ever venture to Cleveland as a vacation destination? Probably not. Yes I’ve endured some less thrilling destinations that our customers call home, but it is still an opportunity to see the beauty and variety of the U.S., Canada and Mexico. It also is always nice to return home to the city with the best weather. 3. Travel Rewards. Throughout the years I’ve used an average of 1-2 airline mileage awards for personal travel. Without this benefit it would be hard to not go postal after dealing with the lack of comfort and amenities with airline travel today. Mr. Boomer is visiting his kids later this month with a “free” award airline ticket. Unfortunately, it took me 15 years to finally get a free hotel night with points from hotel loyalty programs. I used this last month during the girls trip with my mom and sisters. Some of this is due to the fact that my business stays are directed by the customer instead of personal preference. 4. Personal Budget. Assuming not too much is spent on sight-seeing, you can save on personal budget categories when traveling for work. When away from home food, gasoline and electricity being used is paid for by my employer or customer. We have probably all met road warriors that are out every week for 4-5 days. Although I think the personal sacrifice is to great for this type of work, the budget savings is nice! The first reason is the benefit that matters to employers. It’s nice to realize there are personal rewards also for the time away from home, friends and family. Do you travel for business? What is your favorite benefit? Thank you for visiting my blog and your advice re Christmas presents. I am all about scheduling business travel to both take advantage of my credit card rewards and then taking a “semi-vacation” and being able to write it off as a business expense (as long as it is a legitimate tax deduction of course). Good strategy. That sounds like a nice way to mix business and pleaure.